Happier people with more secure financial futures tend to make better employees. For most, a secure financial future is likely going to require that they save the right amount into their 401(k) plan, and achieve the right balance between stocks, bonds, and cash. Unfortunately, all too often, I meet people who are not on track. One perfect example I’ve seen commonly: 401(k) equity allocation—the amount of an investor’s 401(k) assets invested in stocks—is too low for the rates at which today’s employees are saving. While stocks have the strongest historical returns, many Americans still reeling from the 2008 financial crisis remain afraid of investing their retirement savings in the stock market. That’s why my staff works with our clients to help their employees make the most of every option in the 401(k) plan’s fund lineup, including stock funds, to further help them secure their retirement. Let’s take a look at this specific issue to understand the importance of customized support for every employee. When many employers first choose a retirement plan, they tend to compare lineups and choose the lineup that has performed the best historically, hoping to give their employees the best chance at success. That said, when we tested the basic investment knowledge of employees in a recent study, 71% of those quizzed failed. That tells me it’s simply not enough to offer a good set of funds; employees must also be well enough informed to make proper use of those funds. Why is this important? Take two companies, Company A and Company B. Give them the exact same 401(k) plan, and you’ll see wildly different results depending on how the employees invest their assets. For example, if Company A has employees who focus only on investing in cash and bonds, history suggests they should see a much smaller return than Company B, whose employees own more stocks. In the end, that could mean Company A’s employees have far less money saved in their 401(k) than Company B, despite the same fund lineups. So, what is the right balance? It varies. Those in their 30s might have 80% to 90% of their assets invested in stocks, the rest in bonds, and none in cash. This often makes sense; those employees have long careers ahead of them, they don’t need immediate access to cash, and can invest heavily in stocks to grow their assets at an aggressive rate. Compare that to an employee in their 60s, who may have reason to have more of a balance between stocks and bonds, as bonds have less volatility in the short-run. In both scenarios, it’s important to realize that while the portion of an employee’s assets in cash, it’s also not actively working for them. Since most Americans aren’t saving enough for retirement, it’s critical that what money they do save works extra hard. I realize this brings us back to the beginning of this article: Many Americans are still hesitant to trust the stock market, especially with their future savings. If you hear that sort of concern from your employees, ask them to consider this: Over a 30-year period, there has never been a time when cash or bonds have outperformed stocks. That means that if you’re in your mid-to-late 30s, there’s a high likelihood that over the rest of your career, you’ll see a greater return from stocks than you would from bonds. The biggest hurdle is the short-term biases people carry. Over the last 10 years, we’ve seen a few big market downturns, so the relative performance of stocks might seem poor compared to bonds. 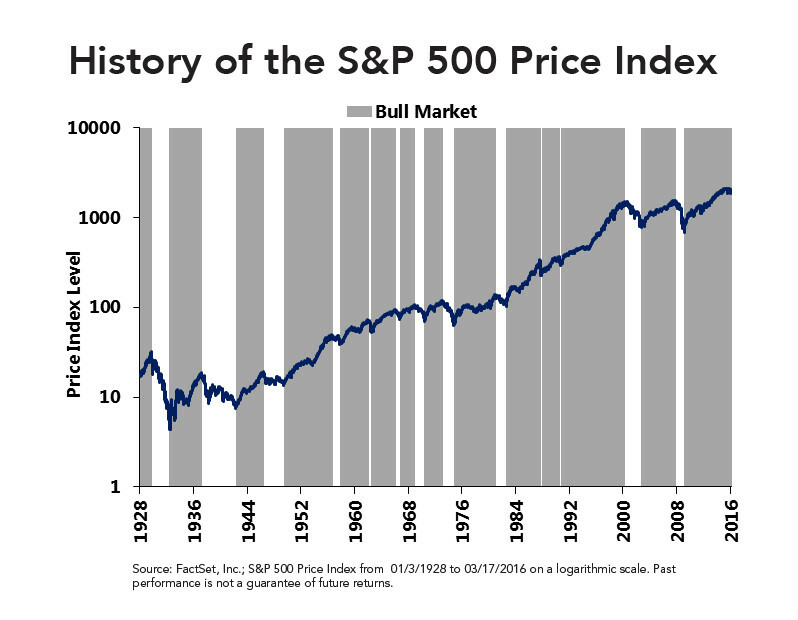 But if you look over a longer period, stocks usually win out. With that in mind, major shifts in the stock market shouldn’t change how individuals choose to invest within their 401(k) plans. This is absolutely something your retirement provider should be helping you and your employees understand. Ultimately, the best plan for retirement savings is a function of when your employees want to retire, how much money they would need to live on monthly, and how long they’re likely to live. These factors should guide your employees’ decisions, not what they read in the news. Likewise, these employees should not be on their own. Your provider should be meeting individually with your employees, helping them think through their retirement goals, and equipping them with investment strategies that make the best use of stocks, bonds, and cash to reach those goals.